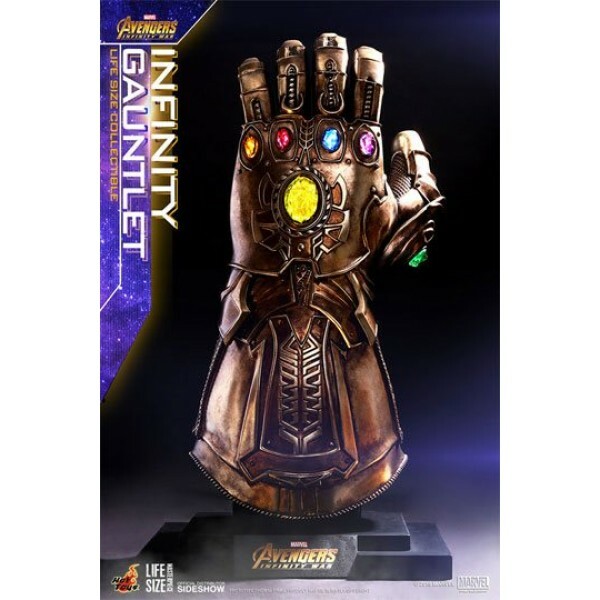 Since the debut announcement of Marvel Studio's blockbuster, Avengers: Infinity War, fans were instantly thrilled and captivated by the mysterious Infinity Gauntlet, as one who possesses the Infinity Gauntlet shall gain omnipotent power. 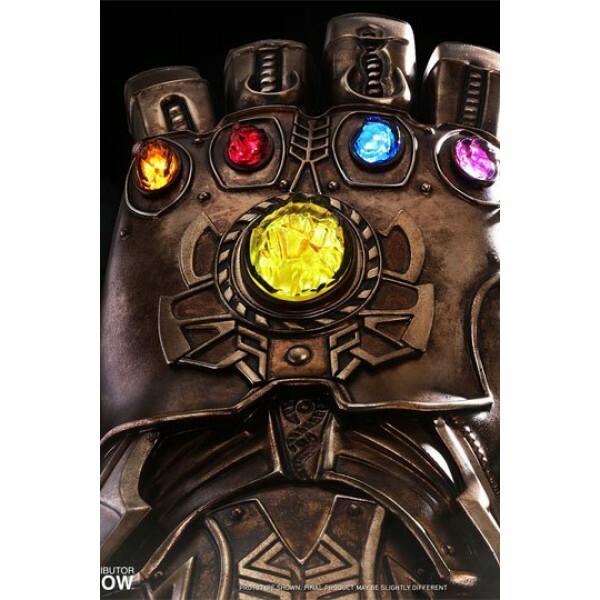 Sideshow and Hot Toys are excited to officially introduce the invincible Infinity Gauntlet in life-size from the Avengers: Infinity War. 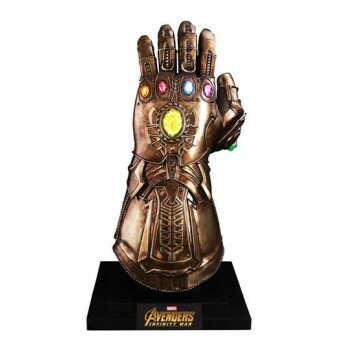 The movie-accurate and realistic life-size replica is approximately 68 cm tall (75 cm with base), and it features LED light-up function with two lighting modes which include light-on effect and breathing light effect; multi-layered metallic painting with weathering effect, and a specially designed custom base with movie logo. 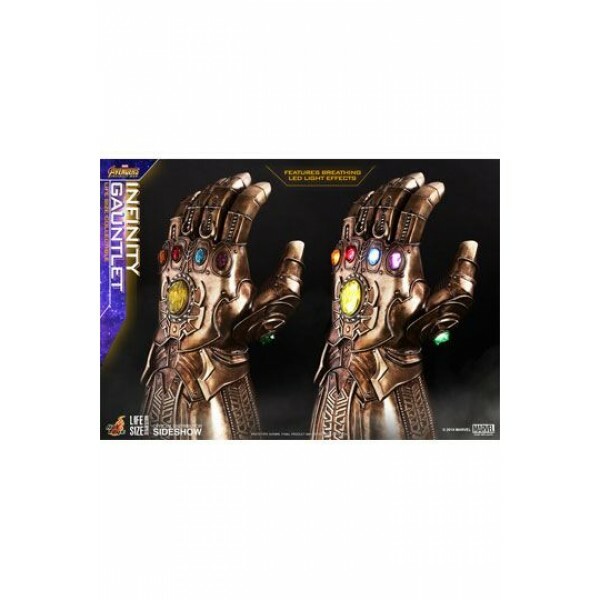 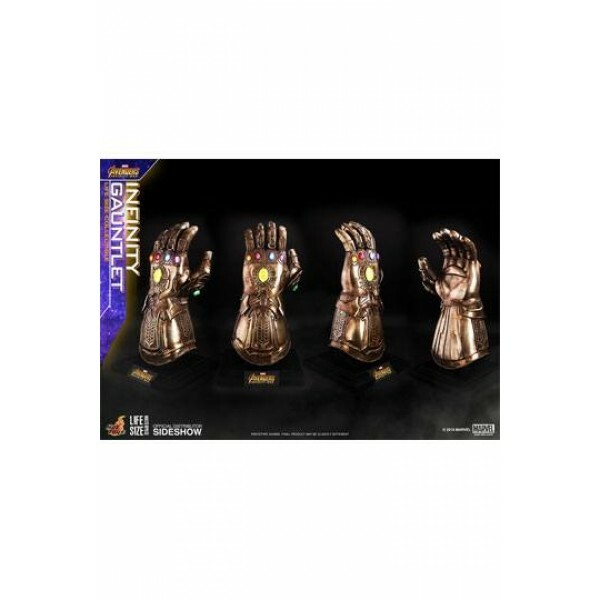 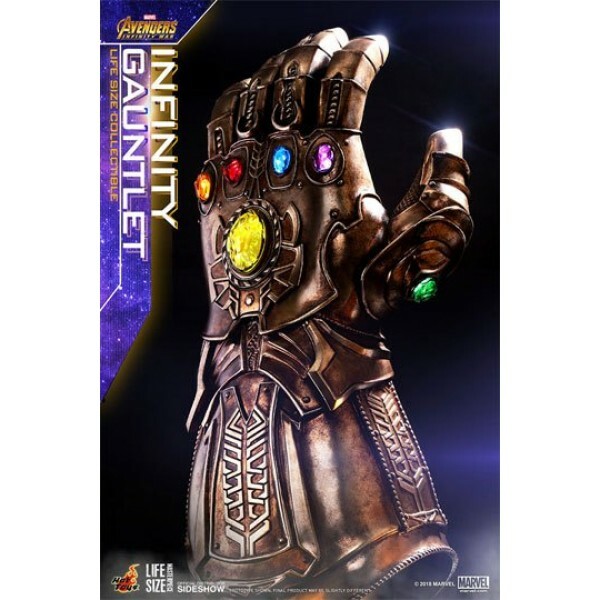 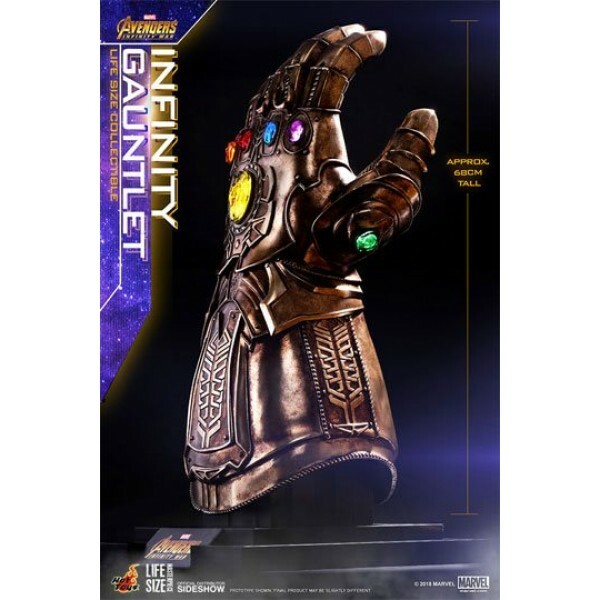 Don't pass up on the chance to add this gorgeous Infinity Gauntlet collectible to your Avengers: Infinity War collection display!